Airshow is a whimsical bias tape applique pattern that will take you through everything from making your own bias tape to the best ways to applique it down. 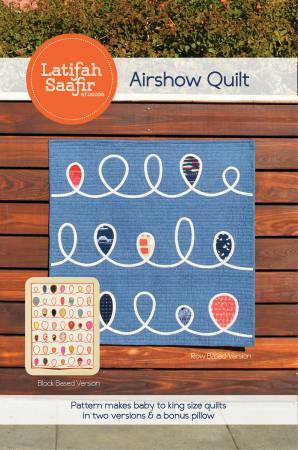 Airshow Quilt pattern includes two different variations – block based and row based – in six different sizes. Bonus pillow pattern included.